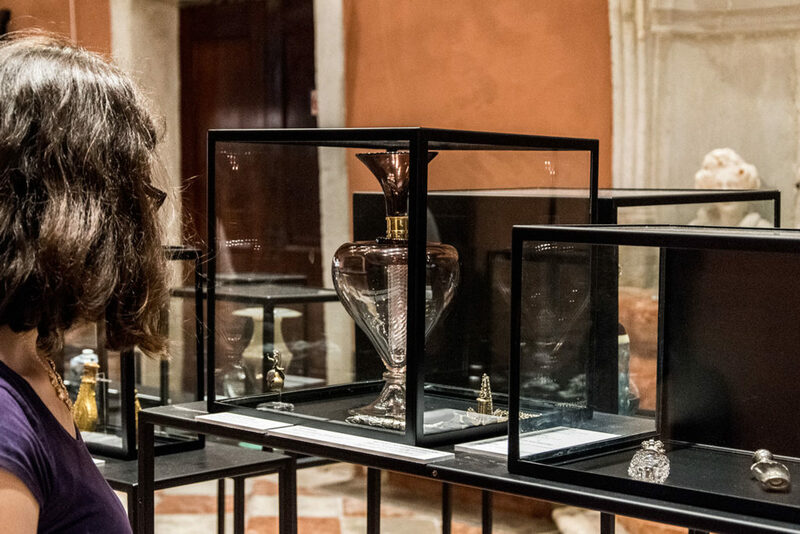 Archetipo glass phial has been exposed in the Museum of Perfume – Palazzo Mocenigo Venice, during the exhibition “New dialogues between Glass and Perfume” organized by Foundation of the Museums of the City of Venice (MUVE), Mavive, The Merchant of Venice, Drom. 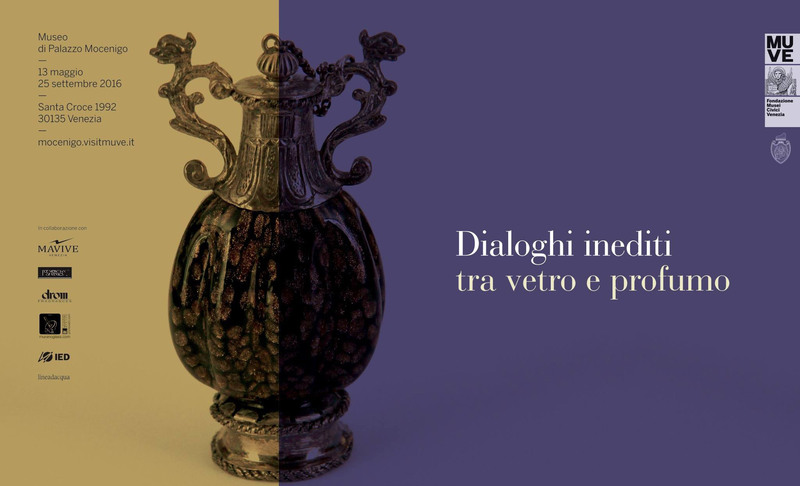 From the Museum website: The creation of value: this is the core element of this initiative. Such value is both born and embodied within the structural processes of the creation: 12 Murano master glass blowers from the Consorzio Promovetro – managing authority for the Vetro Artistico® Murano trademark – create 12 masterpieces (1 exemplar per creation), each with its own unique value. The master glass blowers work with 12 designers. 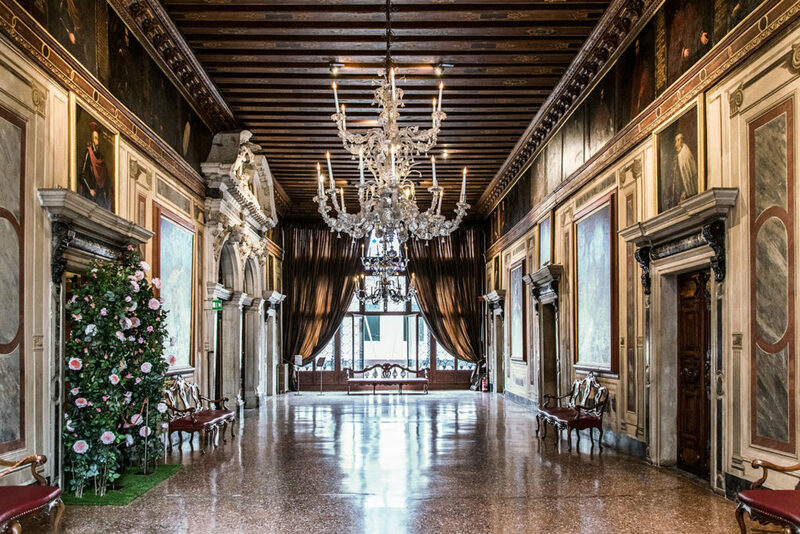 Beginning on 15 March, each master glass blower will work with a designer. Subsequently, the master perfumers of The Merchant of Venice will present the relevant 12 exclusive fragrances. 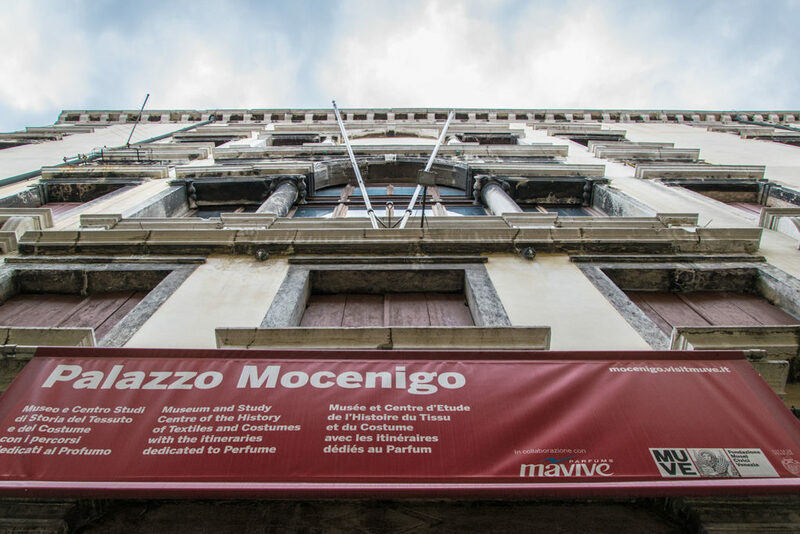 These fragrances will perfectly interpret the masterpieces and the history of artistic manufacturing that, over the years, have become the identity matrix of Venice.